These few weeks have been rather busy with the preparations for Chinese New Year. 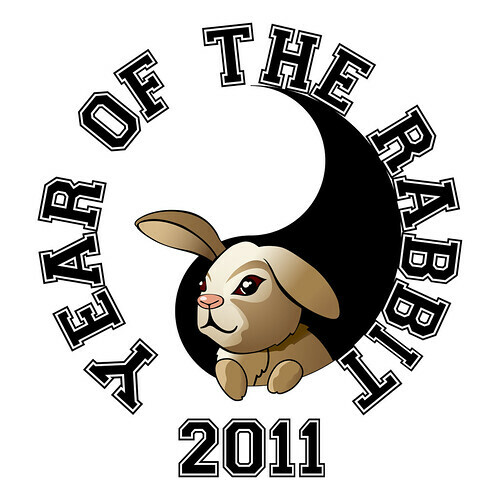 We will be shooing away the tiger and welcoming the rabbit this year. This has been high on my agenda these two weeks. I’ve been busy clearing up the drawers, sorting out the clothes, cleaning and mopping and re-arranging. We threw out some old furniture and got in a new sofa. We also managed to install a new bathroom door as the old one was damaged by the boys. Besides physical cleaning I have been doing some digital spring cleaning too sorting out the files which I need and deleting the stuff which we no longer of relevance to my current needs. Two years ago R and I were discussing about adding another child to our family. He wanted a little rabbit while I wanted a tiger. I didn’t want too big a gap between the kids as it would be more difficult to manage. A rabbit is cute but I like a little kitten ( Read: Hello Kitty) much more. There are so many clothes with cute kitty print on it as compared to those with rabbit prints. To cut to the chase I did get my little tiger cub. Maybe I’ll just get him a toy rabbit to adorn his office desk instead. Being off work is really so much more relaxing. Even though we need to be more careful with our budgeting with a reduction in income but it is worth the adjustment. I don’t have to deal with all the animals in the zoo(workplace). Even though I really miss hanging out with some of my colleagues and ex-students I won’t give up the peace and fun I’m having now. It’s really a blessing to be home to see Riona growing up and mark down all the various milestones that she has achieved. I’ve stayed home on two previous occasions when her elder brothers were born. I’m glad that I was there for them as I’m here for her now. It has really helped in their development physically and mentally. Being a TSAHM when the kids are under two gives me the opportunity to personally nurture them so that they have a head start over others. It gives me ample time to build up their rudimentary knowledge and give them a strong grounding in both academic and non-academic areas. My little girl is going to be a early talker like her eldest brother. Now at 4 months she is verbalizing a lot and has already started calling AH..Meee( Mummy).